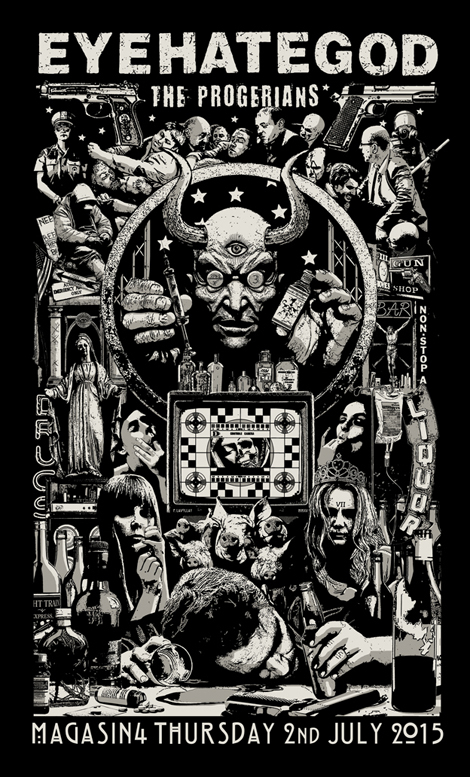 A silkscreen poster for the band Eyehategod! 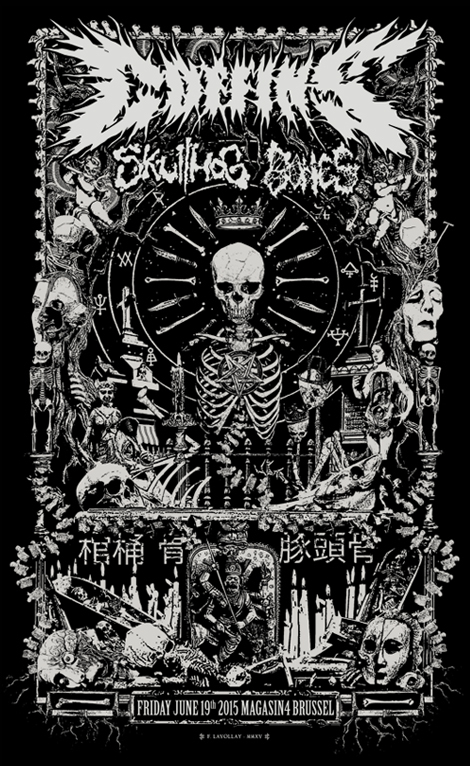 Silkscreen poster for the japanese band Coffins. 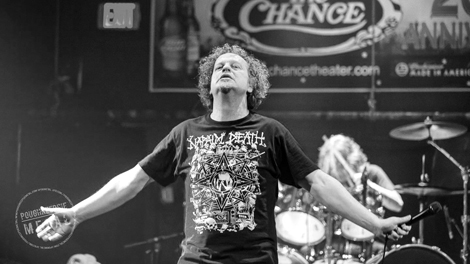 Snake from the band Voïvod’s wearing my Napalm Death shirt on stage!